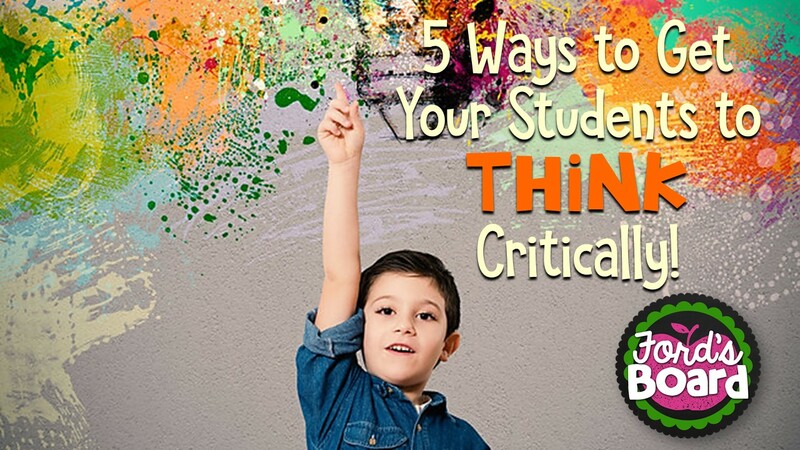 Get Your Students to Think Critically! 1. Make the questions more important than the answers. Switch things up sometimes and instead of prompting students to tell you everything they know about a topic, find out what questions they have about the topic, what they’re curious about, what they’re wondering. Don’t stop there! Instead of assuming responsibility for answering these questions, choose questions your students can research (perhaps with a partner or small group) and have them find the answers. Afterwards, they can present what they learn to the class! 2. Use language that encourag es critical thinking. “Did you do your math?” is not the same as “Can you explain the strategy you used to solve the problem?” or “Have you thought of all possibilities? How do you know?” Using vocabulary that stimulates deep thought is an effective way to encourage higher order thinking. 3. Use exit/ entrance slips that facilitate critical thinking. Exit slips can be a great tool for incorporating critical thinking into each day of the school year. The right exit slip will not only reveal whether your students have mastered a concept, but also provides valuable insight about your students’ thinking. Bloom’s Taxonomy Exit Slips Set 1 and Bloom’s Taxonomy Exit Slips Set 2 are perfect for a quick, yet challenging formative assessment! 4. Provide more opportunities for collaborative learning. Collaborative assignments can foster critically thinking when students have clearly defined responsibilities and work together to sort through ideas and draw conclusions. But be careful! Simply pairing or grouping students without planning for opportunities to think critically is much less likely to encourage higher order thinking. 5. 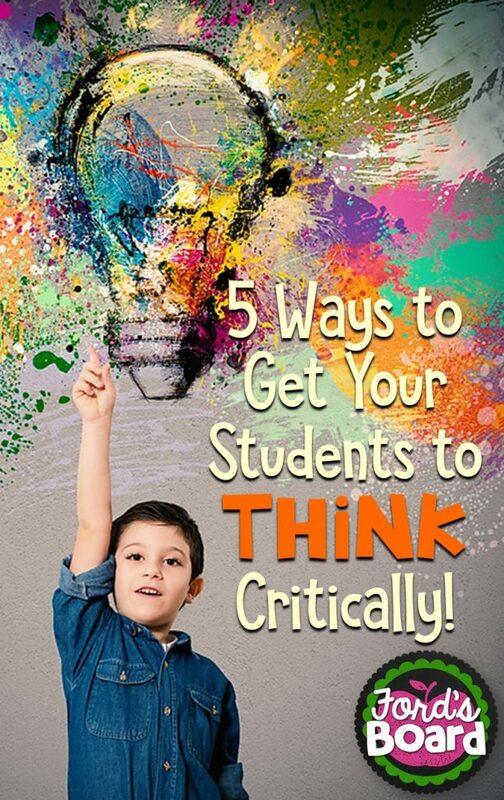 Explicitly teach students how to think critically. Model what critically thinking looks like and what it doesn’t look like. That way students will be equipped with effective strategies they can use as they approach their work.